Biometric technologies have been around for a number of years, predominately used for access control and time and attendance. 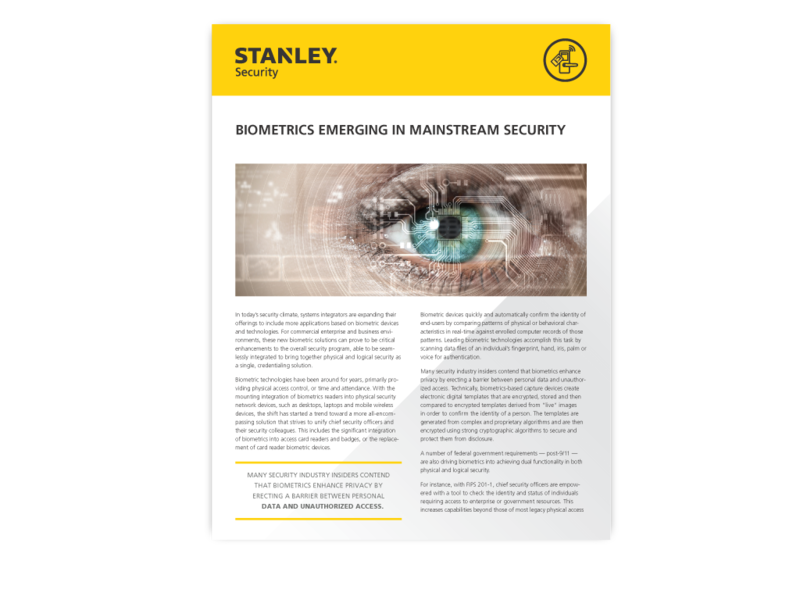 For commercial enterprise and business environments, biometric solutions can enhance security programs by merging physical and logical security into one solution. This enables companies to use the same credentials for both physical and logical security. There are many additional benefits to this including reduced costs, increased accuracy and ease of use.